If you’re volunteering on one of our conservation projects, or staying in Australia for a full year on our farm work programme, why not tag on a bit of fun to round off all your hard work? 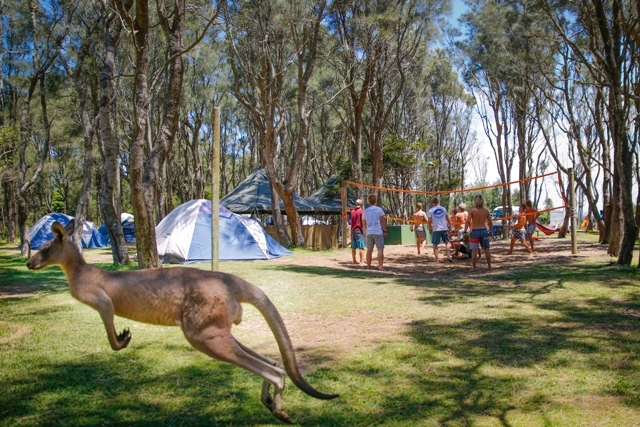 We can you offer you an amazing surf camp weekend with a pick up and drop off from central Sydney. This ‘surfari’ is available all year round excluding the winter months of June- August, and the best thing about it is that your surf pass will be flexible and you can decide which weekend you would like to take part. The collection point is the YHA Central hostel with the surf team departing at 5pm (arrive at least 15 minutes early). 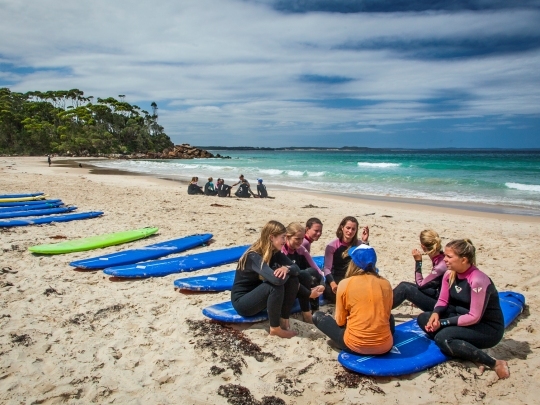 You will be taking part in a two day all-inclusive surf camp tour set in the beautiful sand dunes of Bendalong beach, just a couple of hours south of the city and close to the famous Jervis Bay. With all meals included from Friday night to Sunday lunch, you won’t need to spend much money at all! The team will provide all camping equipment including beds, sleeping bags, rugs, pillows and tents. The trip includes 3 x2 hour surf lessons, you will get to feed giant stingrays by hand, and take part in other bush and wildlife activities. You may also get the chance to see dolphins and humpback whales at the right time of year. Enjoy this beautiful coastline, swimming in rock pools, enjoying great music, campfires and sleeping under the stars. You will be heading back to Sydney at 3pm on Sunday. It is easy to issue you a surf camp voucher to tag on to your trip, just ask the Oyster Team!